It is an honor to be a member of the ASGCA. This is because a membership with the American Society of Golf Architects signifies that the golf architect has proven that they have acquired in depth training, experience, and completed enough successful projects, they are now considered an expert when it comes to golf course design and architecture. It is not easy to become a golf architect because there are strict membership guidelines and requirements that are recognized by private and public agencies throughout the industry as the highest professional standards in golf course design. Many different education paths can lead into a successful career in golf course design. The architects that make up the members of the ASGCA come with diverse backgrounds. Architects come in with training in landscape architecture, civil engineering, environmental studies, agronomy, golf course construction and professional golf, and many more. All of the members of the ASGCA are specifically trained to lead projects and have a deep grasp and understanding of the economic and environmental demands of development today, which requires knowledge and experience in a variety of disciplines. This membership is for the most elite and well rounded architects in the country. Not just anyone can become a member. In order to even be considered for a membership, golf architects, such as Jeffrey D. Brauer had to first complete a 2-year application process. This includes a detailed peer-review of the applying architect’s work. All potential members must have already completed a minimum of eight years’ experience practicing golf course architecture. Additionally, in these eight years, the architect must have designed a minimum of five, 18-hole new golf courses or renovations that are deemed acceptable for equivalence. Then, the potential architect must find three active members of ASGCA who believe in them enough to sponsor them. A sponsorship is showing the active members can vouch for the character, integrity and skill of the applicant. All members must abide by the ASGCA’s standards of professional practice and a stringent Code of Ethics throughout their time with the society. Why should I hire an ASGCA member rather than a non-member architect to design or remodel my golf course? According to the ASGCA’s website, membership in ASGCA signifies that an architect has acquired the training, experience and project mass to be considered an expert in the field of golf course architecture as deemed by his/her peers. ASGCA members must also abide by standards of professional practice and a stringent code of ethics that define the golf course architect’s role in contract negotiations and his or her responsibilities to the client. These strict membership requirements are recognized by private and public agencies throughout the industry as the highest professional standards in golf course design. 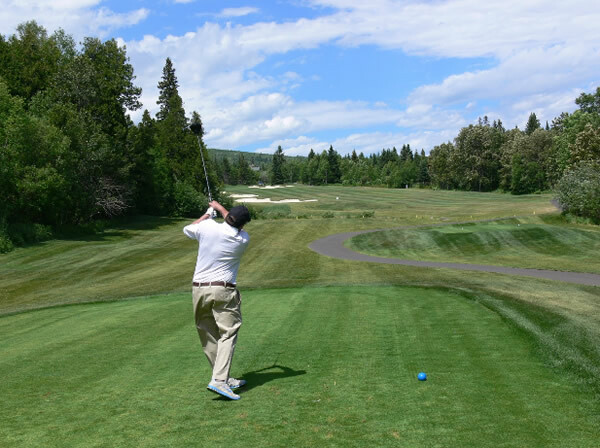 How Does a Golf Course Benefit a Community?